Cross the centuries from Colonial New England to the pioneer West, from the Mexican border towns to the Great Lakes ports, from Cape Canaveral to the Northwest Passage! Chug the picturesque Old West on an early iron horse, explore the Northwest in a fur trapper’s canoe, soar 70 feet above the earth in a mine oar bucket . . . tour through America’s waterways and wilderness on the most thrilling new rides ever designed! As I write this, the 45th President of the United States has been in office for just over two weeks. Watching the country of my birth from north of the 49th parallel where I have lived since I was three years old, it does feel as if one has wandered into the freak show tent at the Circus-at-the-End-of-the-World. 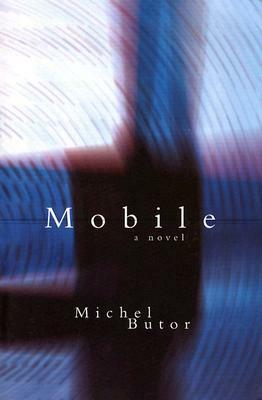 Reading Michel Butor’s Mobile at this moment in American history, frames much of what we are currently watching unfold from an eerie perspective. When the French avant-garde writer was travelling the newly connected highways of America in 1959, he could not have known how very timely all the pieces of information he was gathering, fragmenting, and reconstructing into this ambitious experimental work would still seem more than half a century on. Or perhaps he did. In much of today’s rhetoric, it sounds as if there is a desire to return to some ideal USA, but if Mobile is any indication, that ideal never existed. 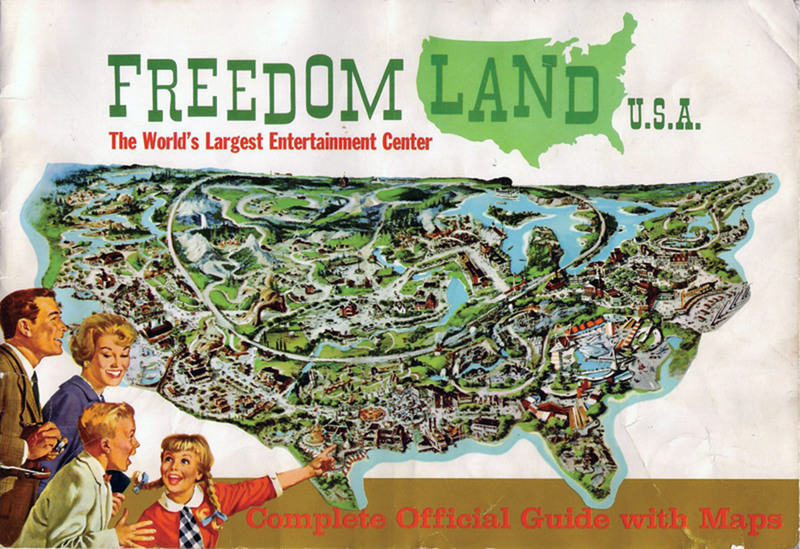 It is a myth, like the many myths celebrated and reproduced at the grand, but very short-lived, Freedomland Amusement Park. Subtitled “A novel” in the Dalkey Archives edition I read, the original subtitle offers a more accurate indication of the project at hand: Study for a Representation of the United States. Butor draws from a wide range of materials to create, or allow for the creation of, a representational framework for looking at America. He incorporates substantial excerpts from the writings of Thomas Jefferson and Benjamin Franklin, reports from the Salem witch trials, traditional and treaty records from Native American history, newspaper accounts of the 1893 World’s Fair and more, but one cannot emerge from this journey without an appreciation of an expansive land, rich in history, natural beauty, and diversity. A white Oldsmobile driven by a young, tanned white man in a pineapple-colored shirt with coffee polka dots (55 miles), “How much longer? Two hours?”—Dead Indian and China Hat Mountains. cream in the Howard Johnson Restaurant. The Chicago World’s Fair in 1893. The trains coming from New York. The trains leaving for San Francisco. This book is not, of course, all light and fun. There are deeply disturbing passages. Segregation is still a reality in many regions (“For whites only”), and the selections from Thomas Jefferson’s writing on the intrinsic inferiority of the black and red races are uncomfortable to read. In the light of the current concern about migrants, the ethnic and cultural diversity captured on Butor’s travels are telling (The Arabs who read “As-Sameer,” The Armenians who read Gochtnag,” The Chinese who read “China Tribune.”) Yet it is all bound together through the repetition of place names from state to state, and the famed ice cream selection at that classic highway stalwart of the era, Howard Johnsons. In the end, filtered through the lens of an outsider, Mobile succeeds in tracing a fractured songline across the heartland of America. Mobile is translated by Richard Howard and published by Dalkey Archive Press with a fascinating introduction by John D’Agata. Flann O’Brien wrote to the American writer William Saroyan seventy-six years ago this Valentine’s Day – which is, as I write this, today’s tomorrow, today incidentally being, by equally timely reference, Hell’s Birthday according to Medieval scholars – to announce that he had completed a new novel. He briefly described the conceit of his inventive, unconventional, and, he hoped, humorous tale but, much to his dismay, his publisher declined to publish the work. He followed this rejection with an attempt to secure American interest, but despite the enthusiasm of a literary agent, a willing publisher could not be found. Rejected now on either side of the Atlantic, the Irish writer (whose real name was Brian Ó Nualláin) claimed that the manuscript had gone missing and let the matter lie. As a result The Third Policeman would not be published until 1967, a year after its author’s death. Delighting in a mischievous engagement with the English language, O’Brien’s dark comic novel sets out to tell the tale of a deeply self-focused young man who finds himself on a convoluted metaphysical journey through a strange land – one that seems to be a curiously stranger version than the one from which he originated, but, single minded as he is, he never fully realizes the true nature of this weird world of eccentric policemen, outlandish theories, and bicycle logic. Throughout it all our hero relies an even odder philosophical compass, the works of a scientific theorist named De Selby who posited a set of theorems about the nature of reality so outrageous that even his young acolyte and his most devoted commentators are frequently at a loss to explain them. The result is a brilliantly skewed meditation on the nature of existence: of life, death and the passage of time. Quite simply, The Third Policeman begins with a murder and with our nameless narrator’s open admission of his full and active role in this brutal act. But, to put it in context, he will then step back in time to explain how he came to be on a rural road, spade in hand, smashing the skull of an old man. A mistake, he admits, but one for which he can never begin to accept moral responsibility. Our hero, likable as he is in his tribulations, is not a heroic man. Spooling back in time, we learn that the narrator was orphaned young. The farm and pub run by his parents is left to the care of a man named John Divney while the erstwhile heir is sent off to boarding school. It is at school that the protagonist first encounters the work of de Selby – the day he finds a tattered copy of the obscure wise man’s Golden Hours in the science master’s study is one that he remembers with more acuity than his own birthday. By the time he graduates a few years later, he has stolen the volume and packed it into his bags. Sourcing de Selby’s other works and those of his primary commentators occupies his immediate months and travels following his school years and on his journeys, he breaks his left leg in an accident (or as he famously puts it, has broken for him). Thus he arrives home to the farm with one wooden leg. Divney, as it happens, stays on to work the farm and the manage the pub, taking to both tasks with little energy or honesty, while the narrator devotes himself to intense, obsessive study of de Selby. For him, the rest of the world holds little fascination, but Divney, who continually complains of a lack of funds, tires of the rural bachelor existence and fancies taking a wife. Ultimately he hatches a plan to rob and murder Mathers, a reclusive, retired cattleman who is known to carry a cashbox with him at all times. Playing into the narrator’s desire to be able to publish the results of his impassioned studies and, ultimately, make his name by elucidating hitherto misunderstood facets of the great man’s philosophy, Divney secures himself an accomplice. In the aftermath of the murder, the stolen cash box disappears, Divney insisting that it has been secured in a safe place where it ought to remain until any fuss blows over. The narrator does not trust this explanation and for an entire year he adheres himself to his farmhand, barely letting him out of his sight for a minute. Finally he is assured that it would be safe to retrieve the box so, on Divney’s instructions, he sneaks into Mathers’ abandoned house, finds the loose floorboard that supposedly conceals the cashbox and no sooner does he grasp the box than it is pulled from his hand. And that’s when things get weird. Firstly our protagonist – who is now truly nameless, for even if asked he can no longer recall his name – becomes aware of the presence of the very man he helped dispatch from the world of the living, clearly alive if not especially well and sitting in the corner of the room. Then, as he tries to make sense of this ghostly gentleman, he suddenly encounters, from within himself, his own soul; an immediate and intimate companion he names “Joe”. From this point on, Joe takes on the often thankless task of playing the role of his host’s better angel and logical voice of reason. When the narrator finally reaches his destination, he finds a building of the most peculiar dimensions, seemingly without depth. Inside this two dimensional barracks he encounters an odd looking fat man, Sergeant Pluck, who assumes that he has come about a missing bicycle. The officer expresses blatant disbelief that our hero is neither seeking a missing bicycle nor has he come by a similar mode of transport – a motorcycle, a tricycle, even. This simple truth will continue to be the most astounding point of fact for both Pluck and his fellow officer Policeman MacCruikseen, who busy themselves with montoring a bizarre and unbelievable assortment of realities. No bicycle! It is enough to make Pluck flustered and MacCruikseen apoplectic! Over the few days that our narrator and his soul Joe spend in the company of the outlandish policemen (who include in their number a third officer, Policeman Fox, who apparently only comes by the station at night) he will witness a most unusual search for a missing bicycle and hear about the ravages of “Atomic Theory”, the principle which is causing the good people of the parish to absorb the atoms of their bicycles the more they utilize them, while the bicycles, in turn, become more human. To allow the trend to continue unchecked would be a travesty. Sergeant Pluck is so wary of his own bicycle that he keeps it, or rather “her”, locked in the lone jail cell. “You don’t mean to say that you believe in this eternity business? What choice have I? It would be foolish to doubt anything after yesterday. That is all very well but I think I can claim to be an authority on the subject of eternity. There must be a limit to this gentleman’s monkey-tricks. I am certain there isn’t. Nonsense. you are being demoralized. I will be hung tomorrow. That is doubtful but if it has to be faced we will make a brave show. Certainly. I will be there to the end. In the meantime let us make up our minds that eternity is not up a lane that is found by looking at the cracks in the ceiling of a country policeman’s bedroom. Then what is up the lane? The Third Policeman is a comedy of absurd proportions with its extrapolations on physics and metaphysics; a fountain of fantastic ideas. Here the surreal layers of reality within which the policemen conduct their business begin to sound strangely sensible (a curious “pancake” indeed as the officers themselves would have it) when played out against the narrator’s own personal frame of reference – his beloved de Selby – with his extremely idiosyncratic conceptions including his thoughts on the ideal house (either without a roof or without walls), his musings on the nature of darkness (due to the activity of volcanoes) and his conviction that life is an illusion. From beginning to end, the energy is high, the language is wildly infectious, the imagery is wonderfully inventive, and our narrator is so stubbornly selfish and greedy for all his earnest soul’s attempts to intervene that he never even imagines where he has, in truth, found himself. 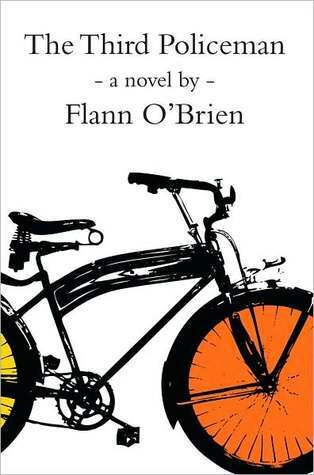 The Third Policeman by Flann O’Brien is published by Dalkey Archive Press. I tend to run solstice to solstice, so this seems as good a time as any to pull together my thoughts about the year that was. I debated the conventional “best of” list affair, but somehow that is not reflective of the way I read or engaged with literature this year. I began the year still finding my footing as a book blogger, my earliest reviews tended to be less critical, more personal. By the end of the year I feel I have endeavoured to establish a more critical but, hopefully still accessible approach. Off my blog, it was an honour to cap off 2015 with my first review on Numéro Cinq where I have been invited to join the masthead. I am most thankful to Douglas Glover, the fine editor of this fine magazine, for having faith in my ability to write. I read and write about books as a an effort to strengthen my own skills both as a reader and a writer, but behind it all is a writing project of my own that has been struggling its way into being, seemingly with an infinite number of forays down paths leading to dead ends. So the following is a review of the year and, along the way, a nod to some of the books, new and not so new, that kept me company. Reading in translation: I have typically read widely, but I never stopped to focus specifically on literature in translation, or, for that matter, to even think of much that I did read as being translated – sounds odd, I know, I think I just thought of myself as someone who tended to read internationally. Joining a shadow jury for the IFFP and then devouring as much of the BTBA long list as I could manage was, for me, a significant turning point in the way that I saw and focused my reading. My books are now shelved (or stacked) by original language. Apart from English I read books in 20 languages over the past year; German, French, Afrikaans, Czech and Spanish topped the list. Independent and not-for-profit publishers: This year I became more conscious about looking to and supporting independent publishers. 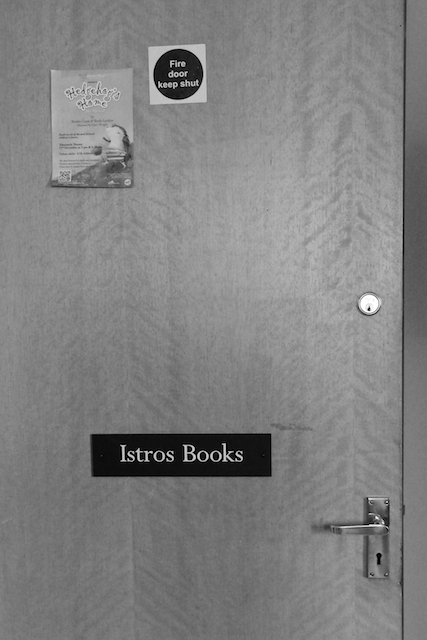 I was already well aware of Istros Books, a small UK publishing house dedicated to bringing Balkan and Central European writers to an English speaking audience, but this year I had the pleasure of meeting with publisher Susan Curtis, and visiting her closet sized office in the heart of London. She has been a most supportive influence in my development as a reviewer, and because I believe in their books and trust her instincts as an editor, I always look forward to their new releases. I also became conscious of other publishers including And Other Stories, Twisted Spoon, and Two Lines Press, just to name a few. I would reckon I bought few books from major publishers over the course of the past year, and trust me, I bought a lot of books! Seagull Books: Here I have to credit (or blame?) Anthony of Times Flow Stemmed for bringing Calcutta based Seagull Books to my attention in recent months. I may be late to the party as they seem to have a core of passionate devotees. A book from Seagull is, quite simply, a finely crafted treasure, a reminder why books will never be supplanted by their electronic versions. They are also willing to take on authors or works that other publishers often balk at as witnessed by their impressive German, Swiss, French and African literary offerings, but any publisher who can transform a child’s tale by Thomas Bernhard into a huge, gorgeous picture book for all ages is alright by me! 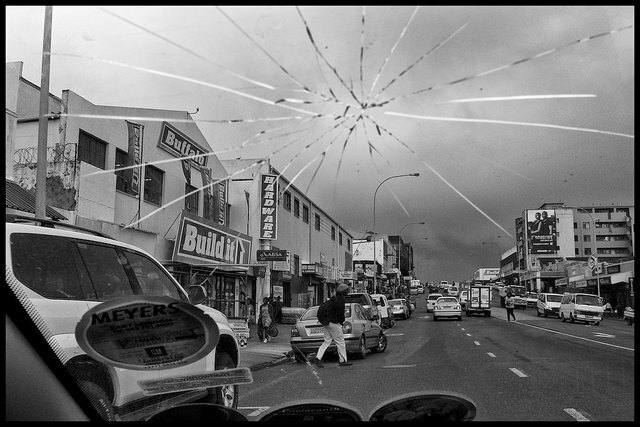 South Africa: I have had a significant interest in the literature of South Africa for a number of years but this spring, feeling especially isolated and unhappy in my present circumstances, I decided, rather suddenly, to visit the country for the first time. I aimed for the solstice, effectively trading what would have been summer solstice here in the north for winter solstice in the southern hemisphere. I spent time with a dear friend in the Eastern Cape, then kicked around Cape Town and dropped a small fortune on books. An ending does not give a life meaning: On my last full day in Cape Town, I sat in the Company’s Gardens, took the notebook I had carried and scribbled in, back to front as is my habit, throughout my journey; opened it to the first page and began to write. I felt I had reached a point, perhaps of closure, a space in which to truly start to pull together my endless personal writing project. 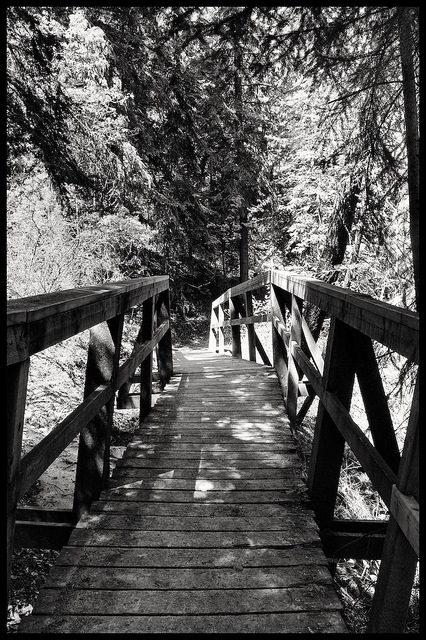 I was certain I could, from that vantage point, look back over the months to June of 2014 when I walked away from my job, wildly manic after a period of unbearable workplace stress, and finally begin to give shape to that story I had been trying to tell for so long. I was at an end, of sorts, so I thought, and now I could work back. But I was wrong: Just over two weeks after I returned home, a pulmonary embolism I had unknowingly developed, a souvenir most likely of my recklessly long flight back, triggered cardiac arrest – in my sleep. The quick response of my son, who happened to be home, saved my life. I nearly reached that “end”, not the one that I imagined would be the point at which I could render my particular life experience and write some meaning into it, but an end final and complete. One that would have left me mute, distorted in the memories of those who have known me. The story would no longer be mine. So what of writing? That is most critically the end to which I read, seeking ways into a story, or stories, I that need to be able to explore – to ultimately put behind me. I can write easily about other people’s words but I choke up on my own. And so the following list of books are those which spoke to me this year as a reader and a writer. I read over 90 books and enjoyed many including: the long overlooked Hansen’s Children by Ognjen Spahic, Ivan Vladislavić’s Double Negative, While the Gods Were Sleeping by Erwin Mortier, Can Xue’s The Last Lover, Marlene van Niekerk’s monumental Agaat, not to mention her wonderful Swan Whisperer from the Cahier series, and Primeval and Other Times by Olga Tokarczuk. I have, by the way, excluded from this accounting a host of writers I expect to like and therefore read regularly, often repeatedly, including Bernhard, Sebald, Borges, Coetzee, Damon Galgut, and, added to the group this year, Bohumil Hrabal. * This debut collection, of long, simmering, often disturbing, stories is simply some of the most sensuous work I have ever encountered. The characters are typically groundless, searching South African ex-pats, uncertain residents trying to find their place, and or those suspended somewhere in between. * The thirteen stories that make up Atavisms reach back hundreds of years, stand in the present, and spin into the future to explore the Québécois experience – at the personal and the political level. Bock skillfully employs a variety of genres to create what reads, in the end, as a mulit-facetted yet cohesive whole. Most impressive. 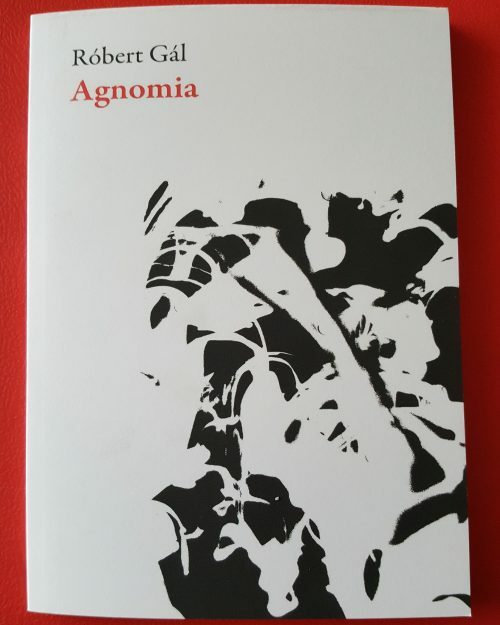 * This novel about an entomologist in search of some way to fill or heal an ache that even she is at pains to articulate becomes an evocative exploration of memory, loss and anxiety. The story unfolds through scenes that repeat motifs, imagery, and fragmented conversations; set against racial tensions building in the small town where she has come to conduct research. The result has an unforgettable cinematic, art film feel. * As I have tossed my own writing goals between fiction and memoir, happy with neither, I had sensed that an experimental approach might be part of the mix. However I had been frustrated with many of the works I had encountered – at least in so far as they spoke to me in a meaningful constructive way. With On Wing and then Gal’s earlier Signs & Symptoms I finally encountered works that I could enter into with my own observations and begin to map out ways of talking about the essentially philosophical issues I want to address. Re-engaging with philosophy years after my formal studies in the field, has also been critical to framing the way I view the essentially ontological questions I wish to articulate. So I am most grateful to Róbert for both his writing and his encouragement. * This 69 page memoir, Handke’s finely wrought tribute to his mother written within months of her suicide at the age of 51, not only paints a careful and delicate portrait of a woman trapped by her circumstances, but offers reflections on the challenges of telling a true story – distilling an entire life to the essential elements – when it might be easier to simply make up stories, to, say, write a play. A whole life is messy to write about with elegance. Handke succeeds. * This is a collection of dreamscapes populated by seekers of truths, purveyors of words, storytellers and readers. Most of the protagonists are writers, negotiating the fine balance between truth and imagination, struggling to capture the point of intersection in words. At least in my own experiences as a writer, or would-be-writer, that is what spoke to me throughout this melancholy, impressionistic book. And that is why it has to be on my list. * Short story collections dominate my favourite books this year. It was an intentional focus, again with an eye to becoming more confident with medium. To that end, I recognize that the stories I am drawn to tend to have narrative arcs that are less pronounced, or more subtle, than some may like. The writing is typically more evocative, more ambiguous, more difficult to define and pin down. 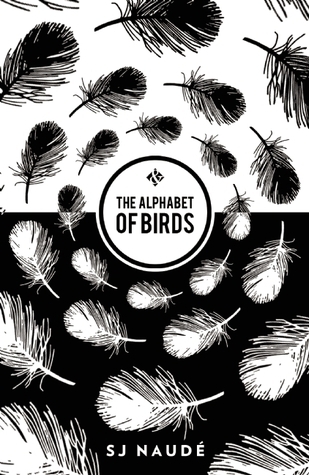 Like Vertigo – brutally sharp, spare and gorgeous, cutting to the quick of everyday life – an exquisite piece of work. * I read many fine and challenging works from Istros Books this year, but the most stunning and devastatingly original has to be the EU Prize winning novel Dry Season. This tale of a love affair between a 62 year-old Slovenian woman and a 27 year-old man from Burkina Faso breaks every expectation, weaving African magical realism into a layered metafictional narrative that culminates in an ending so unexpected that it suddenly throws everything into a new light. Or does it? 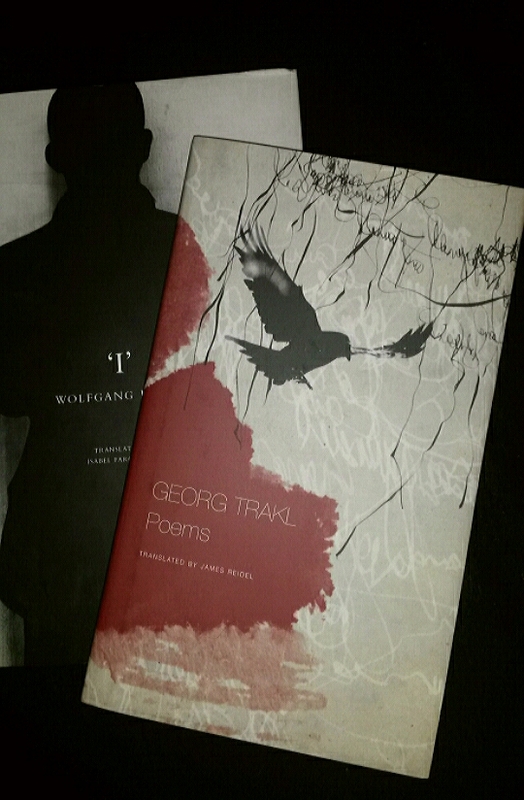 * 2015 saw the release, for the first time in English, of two works by the late German author Wolfgang Hilbig – both championed and translated by Isabel Cole (The other, I, from Seagull Books is waiting on my shelf.) The magic of this collection, set in East Germany before and after re-unification, lies in the atmosphere created by the long sentences that flow, like a stream, back and forward again. Starting grounded in a harsh reality the narratives slip into a subtly surreal, gray-toned, world where reality blurs at the edges and memory takes on a haunting, dark quality. * It may well be that my most memorable read of the entire year is one of the last – an impulse buy if I can be honest. A prisoner of the plaster body casts that were the standard treatment of spinal tuberculosis, Blecher’s creative imagination penetrates the experience of being in the world at the level of minute, intimate detail and manages to capture with acute sensitivity those moments of reality in flux and flow. I don’t know how unique this way of interacting with the world is, but as someone who has always had a discordant, dysphoric relationship with his own body, there is more for me, personally, in this book than I can begin to express. A fine closure to a year of excellent reading experiences. Finally I am most grateful for the conversation and company of the book bloggers and twitter literary folk with whom I have been so fortunate to engage over the past year. I have a dearth of book lovers in my real life. I was at a Christmas party the other night and a game was played in which we were each to share our three worst Christmas gifts – two true and one lie. I was saddened how many people included books among their worst gifts ever. Breaks my heart. Bless you all for keeping me (somewhat) sane. Billed as fiction, On Wing by the Slovak poet-philosopher Róbert Gál eschews all the common precepts of narrative story telling. You might say that this slim volume delights in turning language and ideas inside out, offering a parade of aphorisms, queries, dreams and anecdotes. It might sound disorienting, and if you are looking to impose your preconceptions or to demand an objective truth, you may well be frustrated. Or worse. But I would argue that you don’t want to enter this work as a blank slate. You want to enter it with an openness, and a willingness to be engaged. Consider this. The avant-garde musician and composer John Zorn makes a cameo in a dream segment within the first few pages of the book. Gál revisits Zorn at the end. On Wing reads like an improvisation, an exploration of recurring motifs and themes: memory, pain, death, love, identity, faith and all the idiosyncrasies of living. Grounded through stories and recollections he rolls over ideas with an immediacy and recognizable humanity. The aphorisms, the rhetorical questions, and creative reconstructions of language weave in and out of the text; holding their own at times like extended jazz solos. Wonderful. I want those words. But you might wonder, does this work? I will confess that I am intrigued by experimental writing, I am interested in exploring the ways that ideas can be entertained outside the traditional narrative. But for a fragmentary exercise such as this one to work, there needs to be an intrinsic continuity, even if, on the surface, there seems to be certain randomness. Humanity and restraint are important, the work must say something about life; raising questions, but not pretending to have the answers. I don’t want a writer, even in more conventional literature, to give me answers. Life doesn’t work that way. “He: A living question mark, a question mark so full of life as a question can be. The question of who could draw no breath, the question with each suppressed tendency to breathe out. The question to an answer which yields no answer to a question. The question to a question that doesn’t answer, even when it does. Being asked what he was doing, he answered that he had no time. For everything he is grasping for (as a drowning man) constitutes a breakthrough in his life. Prior to that which was and after that which shall be. Reading On Wing is a singular experience. And unique, I would imagine, to every reader. One reviewer I read seemed to make much of an apparent preoccupation with suffering, anguish, pain. I did not read that book. I was especially drawn to the questions about questions, the musings about memory. Gál presents a humble, somewhat neurotic contemplation of those unanswerable questions of life creating an intimacy with the reader. I thought he was being a little lyrical about death and my marginalia bear me out. But then, less than two months ago I very nearly died. With distance I may feel different. Somehow words seem to fall short when I try to capture the experience of reading this book. 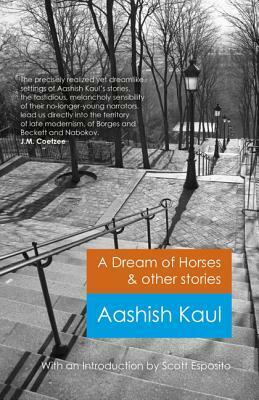 The blurb on the back describes a “restless, searching, ‘improvisational‘ prose whose techniques reflect those of Bernhard, Nietzsche, and Kierkegaard”. But if that sounds heavy, fear not. This is a pocket sized book of 109 pages. 109 pages of of ideas, humour and wisdom. Translated by Mark Kanak, I must make a comment about the translation. I don’t know anything about Slovak, but this is a work that frequently relies heavily on word play and tautological statements, not to mention the re-envisioned words that occur in the text. I could not help but wonder how much the process of translation may have altered the intent or effect of the original. One does not have the sense that this is a translated work, it flows so smoothly. Much of the subject matter is intended to strike a note of universality, presumably in the narrative pieces as well as in the more philosophical elements, and that may contribute to this effect. I don’t know. Maybe that is another one of those questions that is not meant to be answered. Róbert Gál was born in Bratislava, Slovakia in 1968. He spent time in New York and Jerusalem before settling in Prague. 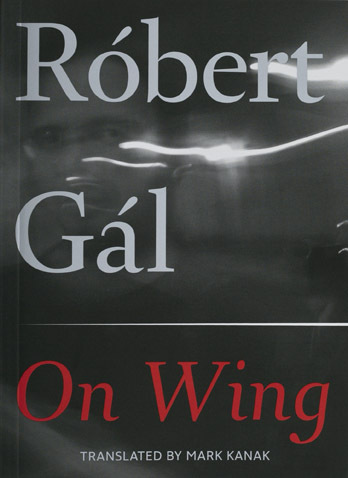 On Wing is published by Dalkey Archive Press. A short story collection can be a curious beast, for the reader who may have a defined expectation about structure and form and for the reviewer who endeavours to capture the encounter with a writer who embraces and defies form as it pleases him. Having emerged from Past Habitual, the newly released collection of stories by Irish writer Alf MacLochlainn, the most helpful advice I can offer is: prepare to encounter narratives that will, at times, ramble and diverge into detailed accounts of practical matters: the treatment of scarlet fever, the options for constructing toilet facilities, the systemic way to approach the assessment of a corpse, the history and development of the stereoscope and more, but if one surrenders to the voices of the narrators, imagining a story recounted over a pint, such excursions prove remarkably compelling and, more often than not, fall imaginatively within the broader arc of the story unfolding around it. That is not to say that each of the twelve stories in Past Habitual follows the same formula – far from it. There are more traditional stories – “A stitch in time”, Demolition of a gnome-house”, “Why dd I volunteer to kill the kittens?” – that explore with a striking sensitivity, a budding love affair, a boy’s creation of a cardboard house in the garden as a symbolic retreat from the tensions inside his real house, a young man’s clumsy effort to impress his girlfriend and it’s disastrous outcome. His narratives are, however, frequently more complicated and sometimes very experimental in form and varied in style. Yet his keen ear and eye for the tenderness and brutality of human interaction surfaces throughout. My preference often favoured the more unconventional narratives such as “Dot-and-carry-on” in which the segments of the story are offered as a series of linked dots connecting scenes like a child’s drawing activity as the narrator ties together key events in his personal and family history reaching back to the Easter Week rising and forward to a curious encounter with a Nazi spy living in the officially neutral Ireland during the Second World War. “Imagined monologues at a college function yield some explanation of the survival of the fittest” is, as the title suggests, a flow of conversational fragments that captures latent biases and prejudices that were not uncommon among mid-century intellectuals. 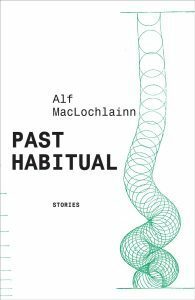 In Past Habitual, MacLochlainn skillfully blends remembrances, facts and imagination to offer a collection that surprises, challenges and delights. 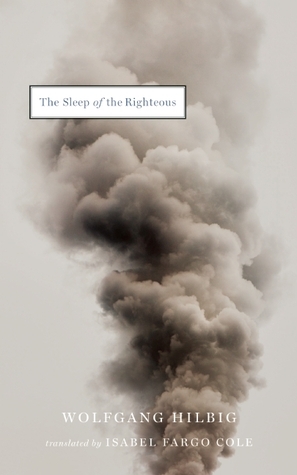 This recent release from Dalkey Archive Press is part of their Irish Literature Series. I am often at odds with the literature from my own country, in fact I’m increasingly at odds with my own country itself. 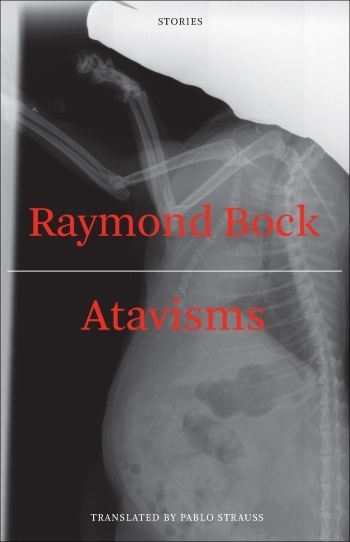 When I heard about Atavisms, a newly released translation of Maxime Raymond Bock’s award winning collection of short stories it caught my attention immediately. 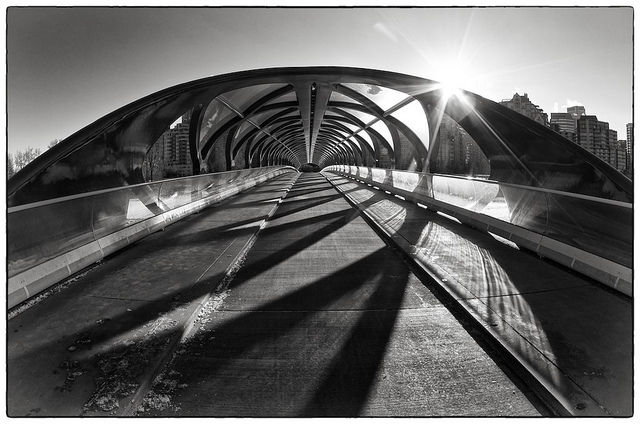 I was keen to have a look at Canada through the lens of a contemporary Québécois writer. I don’t know what I expected, but I was hooked from the opening pages. Not content with niceties, Bock catapults his reader into this collection with “Wolverine”, a story about a disaffected nationalist nursing his resentment long after the FLQ (Front de Libération du Québec – a separatist paramilitary organization) has fallen into decline in the years following the institution of the War Measures Act in October of 1970 in response to the hostilities that had risen to a crisis point. When he happens to encounter a former Liberal cabinet minister, aged and intoxicated, he enlists a couple of friends on an adventure of revenge that turns brutally violent. It is shocking even if you come to this tale from a distance, but as a Canadian who will never separate the October Crisis from his 10 year-old imagination, I met it with intoxicated horror. Suddenly I was thrown back to my prairie schoolyard where my friends and I re-enacted events we were in no way equipped to understand – but with kidnapped officials and bodies in trunks it was infinitely more exciting, and terrifying, than anything on TV. The horror continues to unfold in the second story, “The Other World”, but this time the reader is thrown back hundreds of years, to the early Quebec settlers and the immediate aftermath of the surprise attack by of a band of Iroquois on a couple of traders and their Huron guides. As the lone survivor lies under a thicket of pine branches hoping to remain hidden as the attackers relieve their victims of goods and scalps, he muses that, no matter what happens, he has no regrets. From there we move, in “Dauphin, Manitoba”, to look outside the borders of Quebec, with a man’s monologue directed at a girlfriend he left behind in a prairie town. They had moved out there together. While she found herself captivated by her work, he failed to get a foothold or feel at ease in the vast empty landscape and retreated to the familiar blanketing comfort of a Montreal winter. I once made a move like that in the opposite direction, albeit no further than Ottawa; but in the end made my way back west, never really at home at either end of the equation. As the narrator frames his missive to his girlfriend in terms of the generic novels he is making his way through, he does not sound any more committed to his move as something intrinsically right than as an acknowledgement of where he does not belong. Like a fragmented block of glass, each story in Atavisms offers a view of the Québécois experience through a different prism until the final tale, “The Still Traveler”, pulls all the threads together into a time and place in a precolonial reality dating back to the legends of the earliest residents and visitors to the Americas. After all, atavism refers to the tendency to revert to an ancestral type and that, more than anything is the underpinning theme of this collection: fathers and sons, family histories, political legacies, the identities that contain and define us. Outside of Quebec, a sense of identity is diluted. I was struck by the depth of the colonial commentary that runs through a number of these tales and how the early days of New France are revisited with a harsh measure of reality. This is a conversational point sadly under played in Canada as a whole. As a new level of racism and xenophobia directed at new Canadians grows across this country, we would do well to remember how recently white Europeans made their way onto these shores. Newly released by Dalkey Archive Press under their Canadian Literature Series, Pablo Strauss’ translation very effectively maintains the distinctive flavour of Bock’s richly varied stories. Supplemental endnotes fill in some essential language and historical references to enhance the reading experience. I would strongly recommend Atavisms to anyone interested in knowing more about the Quebec experience, whether inside or outside Canada. Not only because the perspective is not as widely known or understood as it should be, but because this is simply a collection of very good stories. Period.